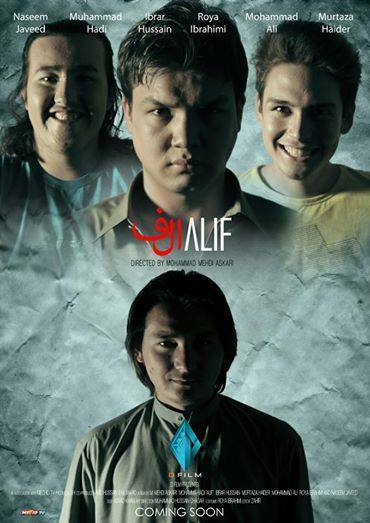 A new Hazaragi telefilm “ الفAlif” produced by D-Film and Directed by Muhammad Mehdi Askari will likely get released on Nauroz Day 21st of March 2014 in Pakistan, Australia, Europe and north America. Hazaras residing all over the globe from Quetta City, Pakistan to Australia and from Europe to America are anxiously waiting to see the film. The film has not released yet and nearly ten days are left to get released but unfortunately the anti-Hazara elements seem to have rolled up their sleeves to lambast the Hazaragi film. A systematic campaign seems to have been launched on the social media especially Facebook against the film including actors and actresses. And Hazaras are being pushed to boycott the film—yet to go on the screen. For the last couple of years, I’ve been noticing that a proper system seems to have now been put in place on the social media to go against any Hazaragi moves, which is a matter of great concern. Some unknown guys sprout up on the surface of social media under fake names/IDs and start abusing all those devoted Hazara intellectuals/individuals who tend to promote Hazaragi culture, language, history, art, music, poetry, politics and image in the society.